Seattle Seahawks head coach Pete Carroll has gotten used to his ears ringing over his last seven seasons at CenturyLink field as its repuation as loudest stadium in the NFL continues to grow. Which is why following his teams upset victory over the Patriots on Sunday Carroll took time to comment on how quiet the Gillette Stadium crowd had been throughout the game despite it being a close contest right down to the final play. Since quarterback Tom Brady took over for Drew Bledsoe in Foxboro Stadium’s final season the Patriots are an incredible 98-16 at home during the regular season, but 2016 will mark the first time since 2012 the Patriots lose at least two games in Foxboro. Since 2012 the Patriots are 31-6 at home including playoffs. From 1997-1999 Pete Carroll coached the Patriots to a 27-21 regular season record but to just one playoff win, Sunday was his first appearance back in New England since his firing. For many in Patriot Nation, football social media tended to agree with Carroll’s sentiments rather than offended, with many noting the teams ticket rising ticket prices with the wins forcing many die hard fans to stay home while creating a “wine and cheese” crowd in attendance. There was even a past discussion about it in the PatsFans forum back in 2011. According to the financial website Bankrate.com, the Patriots have the second highest average ticket prices in the NFL at $122, just a dollar behind the New York Giants highest rate at MetLife stadium. Compare that to the cheapest tickets in the NFL in Jacksonville for an average $57.65. 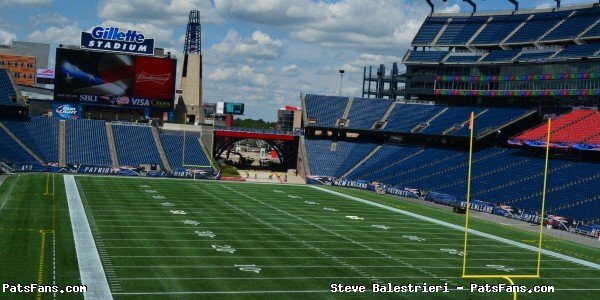 Gillette Stadium is also at an architectural sound disadvange to a place like CenturyLink, the stadium has a far more open air design whereas the CenturyLink seating is compacted and curls inward trapping noise alot more effectively. So while the Patriots may not have a Guiness World Record breaking, earthquake creating fanbase, Carroll did make sure to credit the fair share of heckling directed his way, namely at his now infamous Super Bowl coaching blunder. This entry was posted in Patriots Commentary, Patriots News and tagged Pete Carroll, Tom Brady on November 15, 2016 by Robert Alvarez. Patriots – Seahawks Key Matchups, Who Has the Razor’s Edge? 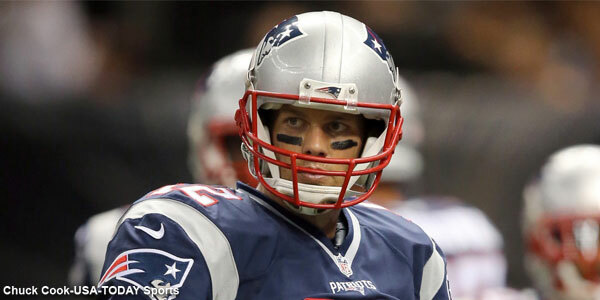 The New England Patriots return home to take on the Seattle Seahawks on Sunday Night Football. This will be a rematch of sorts of the 2014 Super Bowl. The game has big implications for both teams in their individual conferences and although it is only Week 10, those are already coming into play. The game will be televised by NBC and can be seen locally on WHDH Channel 7 in Boston. Al Michaels will handle play-by-play duties with Cris Collinsworth as the color analyst. Michele Tafoya will work the sidelines. The game will also be aired on the Patriots flagship radio station 98.5 The Sports Hub with Bob Socci and Scott Zolak on the call, produced by Marc Cappello. The Patriots (7-1) came off their bye week in good shape leading the AFC with the best record and allowing the second least average amount of points in the NFL. Tom Brady is as sharp as a razor right now and Julian Edelman and Martellus Bennett used the bye week to get healthy. Dion Lewis can be activated at any time now and will be another big boost to the offense. The Seahawks (5-2-1) beat the Buffalo Bills 31-25 on Monday Night Football. Russell Wilson had a fantastic first half leading four touchdown drives and the defense made a key stop at crunch time in the final moments of the game to seal it away. The Patriots and Seahawks meet for the 18th time on Sunday. The Patriots have a slim 9-8 advantage all-time against Seattle although the Seahawks hold the edge (5-4) in games played in New England. The last time these two teams met was arguably one of the best Super Bowls ever played. Tom Brady led the Patriots back from a 10-point, 4th quarter deficit to take a 28-24 lead with just a couple of minutes to go. 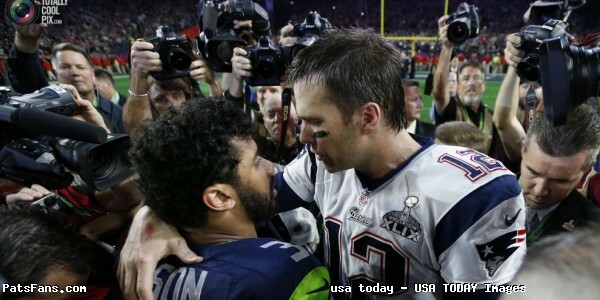 Russell Wilson then took the Hawks to the Patriots one-yard line with under a minute to go. But Malcolm Butler intercepted Wilson’s pass in the end zone to seal away the victory. 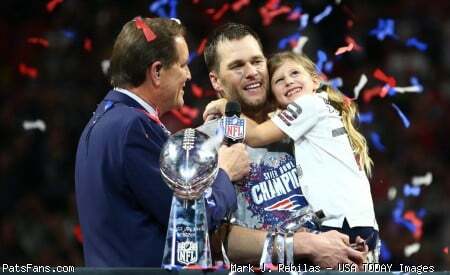 This entry was posted in Patriots Commentary, Patriots News and tagged 2016 NFL Season, 2016 Patriots season, Bill Belichick, Buffalo Bills, Chris Hogan, Danny Amendola, Dion Lewis, Dont'a Hightower, Doug Baldwin, Jabaal Sheard, Jermaine Kearse, Julian Edelman, LaGarrette Blount, Malcolm Butler, New England Patriots, NFL, Patriots, Patriots edge rushers, Pete Carroll, Rob Gronkowski, Rob Ninkovich, Russell Wilson, Seattle Seahawks, Tom Brady, Trey Flowers on November 11, 2016 by Steve Balestrieri. Super Bowl 49 was arguably the most exciting and memorable championship game in the history of the National Football League. On Sunday NFL fans will be treated to a rematch of that epic event as the Seattle Seahawks travel to Foxboro to take on the New England Patriots. Currently these two clubs are favorites to represent their respective conferences at NRG Stadium in Houston on February 5 for Super Bowl 51.
Who: 5-2-1 Seattle Seahawks (1st in NFC West, 2nd in NFC) at 7-1 New England Patriots (1st in AFC East, 1st in AFC). What: 2016 NFL Week Ten Game of the Week. When: Sunday November 13 at 8:30 pm ET on NBC. Weather: 10% chance of precipitation. Clear skies with a daytime high of 48° and overnight low of 30°. Winds at 5-10 mph; game time temperature in the mid to high thirties. Keep in mind that this is New England, so the forecast could very well change between now and kickoff. Coaches: Pete Carroll is in his 11th year as an NFL head coach. Carroll is 98-69-1 in the regular season, and 9-6 in 15 playoff games. Now in his seventh year with Seattle, Petey is 65-38-1 (.630) with the Seahawks, plus 8-4 in the playoffs. 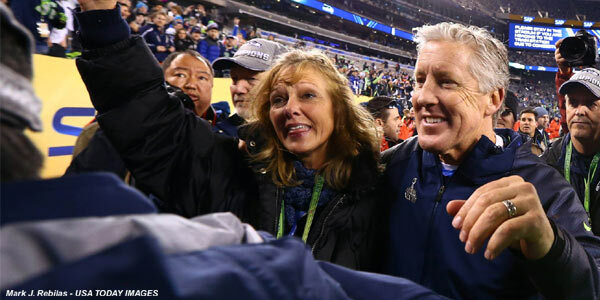 Carroll’s teams have won two conference championships and one Super Bowl; his clubs have made it to the playoffs in seven of his ten years as head coach. Bill Belichick is now in his 22nd year as an NFL head coach, with a 230-114 (.669) regular season record. BB also has 14 playoff appearances, including the last seven in a row. Belichick is 23-10 in the playoffs (22-9, .710 with the Patriots) with four Lombardi trophies and six conference championships. The Hoodie also has two Super Bowl rings as defensive coordinator for the Giants. Odds: In the early advanced look-ahead lines published on Tuesday November 1 the Patriots were listed as 7½ point favorites. Those odds remained the same after Seattle’s victory over Buffalo on Monday night. As of Tuesday the over/under is 49. Heading into Week Ten the Patriots were listed as favorites at +200 (2:1) to win the Super Bowl. Next up are two NFC teams. The Seahawks and Dallas Cowboys are both dropped from +1000 (10:1) to +800 (8:1) to win it all after their week nine victories. Head-to-Head Series Record: Including the Super Bowl victory, the Patriots lead the all-time series 9-8. 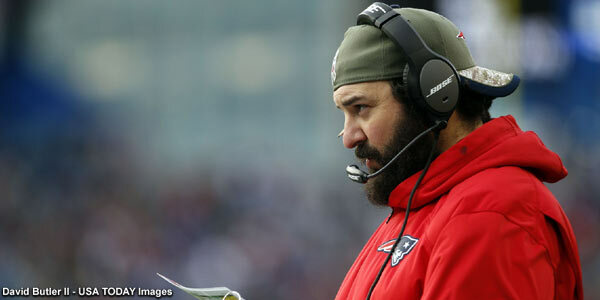 The two teams have met three times in the regular season since Bill Belichick became head coach of the Patriots. 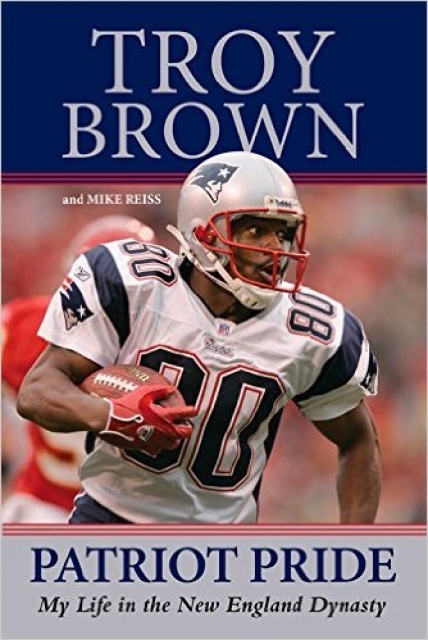 The Pats won 30-20 in the last game at Foxboro in 2004. In December of 2008 the Patriots won 24-21 when Sammy Morris vaulted in to the end zone on 4th and one with 2:44 left to play. In the U mad bro game of 2012 the Seahawks came from behind for a 24-23 home victory. Carroll has a 2-2 career record versus the Patriots, splitting two games in 1994 when he was with the Jets. Belichick is 4-2 against Seattle, including two games when he was with the Browns. As you can see below this is a classic NFL great offense versus great defense matchup. 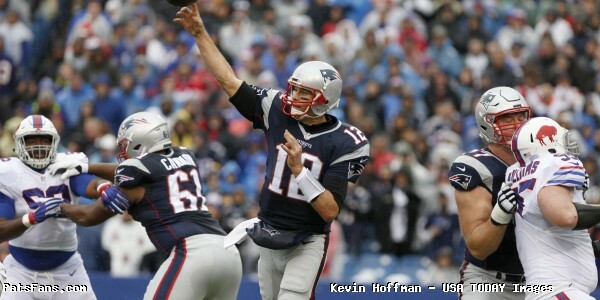 This game will be a very difficult task for the Patriots. The Seattle Seahawks still possess a formidable defense on all three levels. Coming off a bye the Pats do have the advantage of being both healthy and well rested, as well as having extra time to prepare for their opponent. Conversely Seattle not only has to overcome the challenge of traveling across three time zones, they also have to do so on a short week after playing Monday night. The Seahawks will have extra motivation of looking for revenge for their Super Bowl loss, but that extra adrenaline won’t be enough. I’ll take Bill Belichick and Tom Brady at home with extra preparation time over the Legion of Doom defense. This entry was posted in Patriots Stat Breakdowns, Uncategorized and tagged 2016 Patriots season, AFC, betting line, Bill Belichick, NFC, NFC West, odds, Patriots history, Pete Carroll, picks, predictions, Seattle Seahawks, stats, Super Bowl XLIX, Week 10 on November 10, 2016 by John Morgan.